Meet the loveable Luna! If you are looking for a kitten who marches to the beat of her own drum, (and then chases those drumsticks all over the floor) you're in the right place! 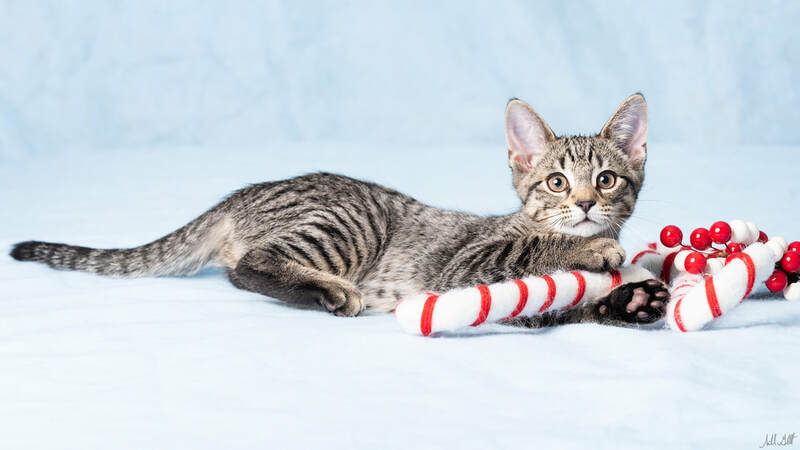 Luna is a super playful kitten who loves to chase the stick toy with her foster family, and then curl up in the closest lap and fall asleep. She's the purrfect mix of snuggly sweetness, and playful silliness! If you need some wide eyed wonder added to your life, Luna knows the truth; she's the one for you!